When you receive a Child Support Assessment it is easy to think that the amount assessed per month, is the dollar amount you are entitled to receive, and will receive. However, in some circumstances other payments that have been made during the relevant period by a paying parent, can be credited by the child support agency towards the paying parent’s child support payments for a specified period. These types of payments and credits are referred to as “Prescribed Payments” and “Non-Agency Payments”. These payments are similar to non-agency payments but only apply in circumstances where the paying parent has less than 14% care of the children. In circumstances where the paying parent has more than 14% care of the children, they will need to rely on non-agency payments, as opposed to prescribed payments, when applying for credits to their child support debt. Prescribed payments can be claimed up to a maximum of 30% of the amount payable under the paying parent’s liability. (e) Payments made by the paying parent towards the receiving parent’s utilities, rates or body corporate charges. (f) Payments made by the paying parent towards the receiving parent’s home mortgage. (g) Payments made by the paying parent to the receiving parent’s costs of obtaining and running a motor vehicle. A non-cash transaction such as the transfer of property or the provision of services. Intention is an important factor in determining whether a non-agency payment should be credited towards the paying parent’s child support debt. In order for a non-agency payment to be credited towards a child support debt, the child support agency must be satisfied that both parents intended that the payment was made towards the enforceable child support liability. 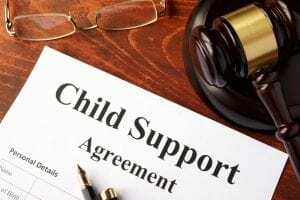 When there is disagreement between parents as to whether a payment was intended to form part of the paying parent’s child support payments, the child support agency will seek evidence from both parents, regarding the intention that existed at the time the payment was made. If the Registrar determines that it was intended that the payment be part of child support, then the payment can be credited towards the paying parent’s child support liability for the relevant period. If similar payments have been made in the past and previously accepted as child support payments, this may indicate that the payment in dispute was made with the same intention. In every determination the specific circumstances of the case are relevant. X is the paying parent and Y is the receiving parent. X pays the child’s orthodontic costs totalling $1,000 and claims that this payment should be credited against X’s child support liability. Y disputes this and says that the $1,000 should not be credited, as there was no agreement/intention that the orthodontic costs were being paid in lieu of child support. Y then sends to the registrar a copy of X and Y’s Family Court Final Property Orders, which include a Notation that X would pay the child’s anticipated orthodontic costs until the child turns 18. In this circumstance it is unlikely the registrar would credit the payment towards X’s child support, as the notation supports Y’s claim that this payment was intended to be separate to child support payments. X buys the child Christmas presents, among which are a pair of new sport shoes. X claims that the cost of the sport shoes should be credited towards X’s child support payments. Y claims that the child already had a pair of sport shoes, that there was no discussion between the parents about buying the shoes, and that these shoes were just a present from X to the child for Christmas. If no evidence can be provided about the need for the shoes, or of any discussions about the purchase of the shoes, then it will be difficult for X to prove that the purchase was intended to have been made in lieu of child support payments. As such, it is unlikely that the shoes would be credited towards X’s child support payments. In determining claims for non-agency and prescribed payments, a decision maker can also take into account a variety of factors such as child care rebates, and necessary school activities. For example, if a paying parent makes a claim for child care costs to be credited towards the child support debt, the amount of credit will be reduced by any amount refundable as a child care benefit or rebate. When it comes to determinations of non-agency payments, a Registrar can take into consideration a whole range of factors in determining whether to credit or reject a payment. As such it can be difficult to have any certainty when it comes to child support matters, as the Registrar’s discretion is a primary factor, and every decision maker, and matter, is different. However, objections to a Registrar’s decision to credit, or refuse to credit, all or part of a non-agency payment, can be made.